Conveniently located in downtown Atlanta, the Georgia Aquarium is within walking distance of many central hotels and attractions, including Centennial Olympic Park, CNN, the College Football Hall of Fame, Center for Civil and Human Rights, and the World of Coca-Cola. Your general admission ticket grants you access to explore the aquarium's 10 million gallons of water and one of the largest aquatic collections in the world. 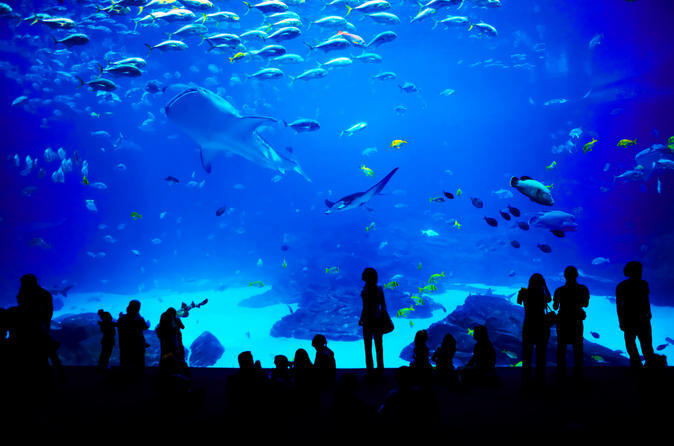 You can experience everything from tropical fish to beluga whales to an action-packed, state-of-the-art 4D theater. Don't miss the AT&T Dolphin Tales exhibit and the Pier 225 Sea Lion Gallery, two popular attractions for all ages. If you get hungry, head to the Café Aquaria Food Court with a number of food options for the whole family.